Has anyone noticed anything about our homeschooling? This mom is obsessed with my children learning a foreign language (or two). Perhaps it is because that is the one thing I can’t teach at all, as I flunked out of French in high school. Or maybe it is because there were a number of jobs I once wished I could apply for (before kids) that all required fluency in Spanish as well as English. 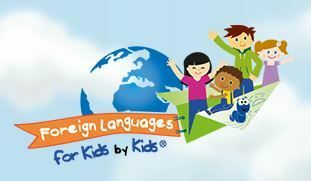 I just see so many advantages for those who have a solid grasp of multiple languages that I want that for my children too. That is why I leaped at the chance to review Middlebury Interactive Languages and their German Courses for grades 3-5. Why German? Well, we’ve had many opportunities to look at Spanish. In fact we are currently taking a Spanish class in our co-op. My husband is of German descent and our children know this. When I explained to son Noah who is 8 that this course would not only teach him the German language but also lots of things about the German culture, he was excited! So German it was! Middlebury Interactive Languages takes an immersive approach to learning foreign languages. It was designed by linguistic experts to be fun, engaging, and using friendly. I’d certain call it all three of those things. Noah thoroughly enjoyed every lesson but don’t let me get ahead of myself. 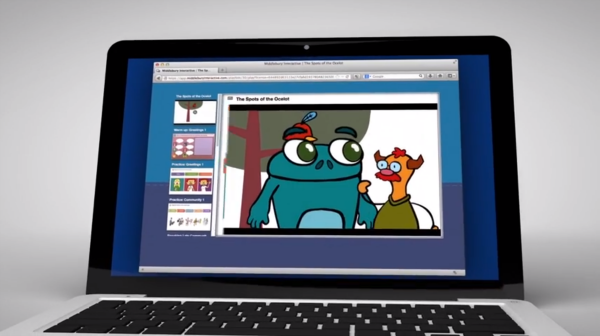 Middlebury Interactive Languages offers full semester self-paced courses for all grades k-12. Courses include Spanish, French, German, and Chinese. To see a bit of how Middlebury Interactive Languages works click on the video below. Each day my son logged in and was met with a fun interactive adventure story like experience. The program uses a immersive type experience. The words he was to master that day were used repeatedly in a German story in context. Afterward he had the opportunity to practice saying those words as well as interact with the program in a game like manner to ensure he was learning and retaining those words. The program strives to instill vocabulary into the student but there is also some grammar concepts taught along the way as well. It is all done through stories, games, quizzes, and fun activities. The program is so gentle and low-stress. If foreign languages had been presented to me like this as a child I am certain I would not have flunked. 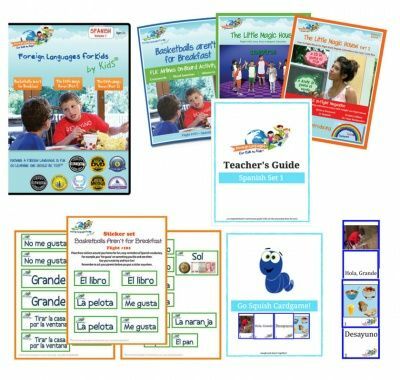 This program includes a “Speaking Lab” where a child can record his or herself speaking the words and listening back to them. While I think this is an amazing feature we did run into one problem. All of the children in my house found this so hysterical that they’d come running from other rooms to get themselves recorded. The giggle fests were enormous! Which was fine but then it was difficult to get my son back on track. I had to install some ground rules for this feature! No other children allowed! In the end my son will learn over 600 German words. He is beginning to be able to read and write in German as well as speak the language. He is excited! In fact this is a program I hold off on until the end of our school time. I use it as a bit of an incentive to get through other things efficiently. That is how much he adores his German time. When you enter the program you click on the little menu icon in the top left of the screen. There you can choose calendar or table of contents to access your lessons. We usually used the table of contents since our family didn’t follow the calendar precisely. There are some days we did multiple lessons and on busy days we didn’t do any at all. Here you can see what the table of contents looks like. All of the activities in the program are super simple yet totally effective. Nearly all of them involve dragging and dropping appropriate responses into indicated areas. Immediate feedback encourages the student along. There is a dashboard for parents to follow along and see how their child is doing. I love this area. As a busy mom with four children to school and care for. I didn’t necessarily sit with my son through every lesson so I found it invaluable to be able to log in a see how things went when it was convenient for me. If I haven’t made it clear we absolutely adored this program. It is a highlight in our days. We typically completed about 4 lessons per week, sometimes more. I even had my son ask to do this on non-school days. Each lesson generally only takes 15 or 20 minutes to finish. Perfect for a wiggly eight year old boy. This truly is self-paced. My son could fully operate this program without me and that is a blessing. It didn’t take any prep work from me. He could do as much as he wanted per day and if he had any questions he could easily go back and review past lessons. However, the review sections were so well done he usually didn’t need to. Both of us enjoyed the video lessons. There were fun and engaging. Most importantly they did an excellent job of infusing the vocabulary into my son’s mind. I was skeptical that an “immersion” system of learning could work in just 20 minutes or so a day. It really does! $119 for one semester per child. 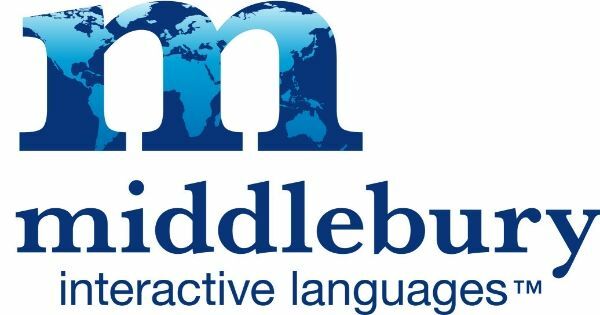 I totally recommend Middlebury Interactive Languages! It is a truly fantastic program.